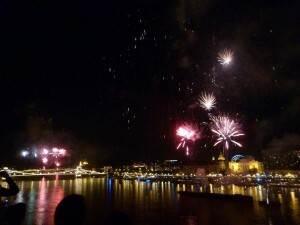 It was the 16th of August when our Hungarian adventure started. In that time none of us were aware of all the wonderful things we were going to live in the next two weeks. 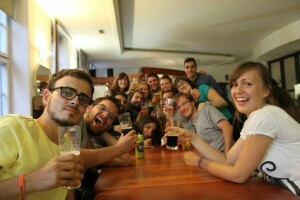 For me and some of the Spanish participants everything started when one of the AEGEE-Budapest members picked us up at the airport with a bottle of cider in his hand – that was promising. This is the story of 15 amazing days during which we learned a lot about our environment and the ways to take care of it, and secondly, but probably more important we learned how to drink innumerable palinka shots and not die trying! The first weekend was full of ice breaking games and special moments to start getting to know each other. After the sightseeing tour around the city the second day, we were already in love with Budapest, what we didn’t know then was that it was only the beginning, we had plenty of small undiscovered corners. The second night it was time for the ‘Homemade palinka tasting’, of course, palinka in plastic bottles with no labels, something that no one cared at all! Maybe you think that somebody died that night, but no, everybody was alive the next day (or almost alive) and wanting for more. We spent the next two days in a lovely village close to Budapest called Zebegény. In those days we slept in wooden cabins and we had the opportunity to relax and take a bath in the Danube (which was appreciated after the palinka tasting) and also there, Pablo Laboreo, from AEGEE-Santander and member of the Environmental Working Group, gave us the first of several workshops along the SU, this time about sustainability. We also had the chance to enjoy a bicycle tour near the Danube Bend, when we really realized how beautiful a country Hungary is. But the most remarkable memory for me of these two days was the great goulash that the organizers cooked for us in a bonfire in the countryside. Goulash is one of the most typical Hungarian dishes we tried throughout the SU, it is made of meat, onions, potatoes, peppers and paprika, and it takes around five hours to be cooked. It is really tasty. We came back to Budapest on the 20th of August, just in time to enjoy the Hungarian Day, that day Hungarians celebrate the foundation of the Hungarian state 1000 years ago. There were a lot of activities and concerts in the city, but the most beautiful thing for us happened at night, when we went all together to an attic to watch the stunning fireworks displayed on the bank of the Danube. 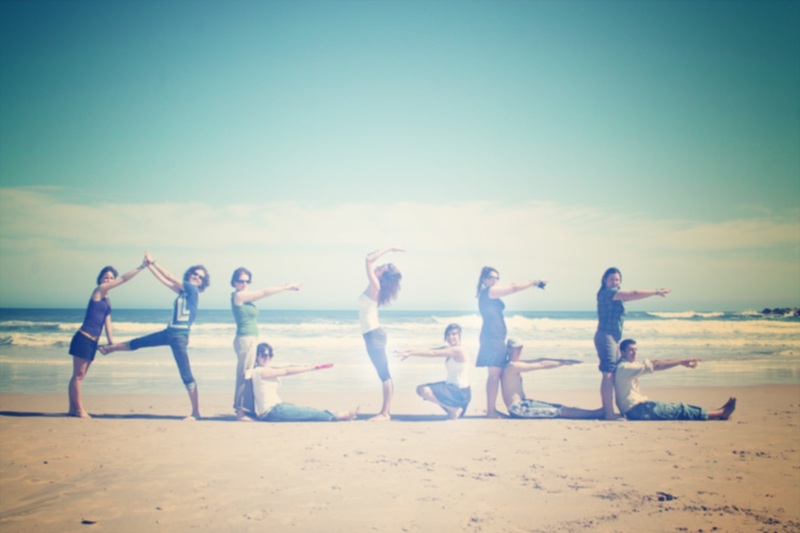 It was a very special moment for the group and we took wonderful pictures there! It’s impossible to tell all the things we did the rest of the week, the article would be endless. Our days passed quickly between the workshops and the leisure activities. We went to ‘Dreher factory’, a famous brewery in Budapest, we had a funny city tour in ‘Óbuda’ which is the oldest part of the city and we also had the chance to try another typical Hungarian dish, Lángos, a deep fried flat bread normally eaten with sour cream and cheese. And finally Saturday night arrived and it was time for the European Night. We presented the different foods and beverages and our lovely organizers had the chance to enjoy what we call the ‘Eurotrip’, so they were the first trying all the drinks from all the countries. Only after that was it time for the rest of us to enjoy it, as usually it was a great night, an amazing exchange of cultures and flavors. The morning after, as usually too, it wasn’t that hilarious, hangover mode-ON…! Without even noticing, it was Monday again and we had only 5 more days together. During that days we discussed about the future of our planet with Pablo and also Professor Gábor Harangozó from the Corvinus University of Budapest gave us a lecture about it. To contribute to improve our planet we planted an Aegee-tree in a house where women in difficult situations lived, that was really touching. Sadly the last night arrived. After spending the afternoon cooking for the chef-night for our last dinner, we decided to stay at the accommodation to chat and be close to each other, enjoying the last unrepeatable moments together. Yes, it was sad, but also in the air there was a lovely feeling, we all know that we will meet again sooner or later… somewhere in Europe!